Teachers practice one of Project WET's lessons. This kind of hands-on experience makes them more likely to use a lesson in their own classroom. 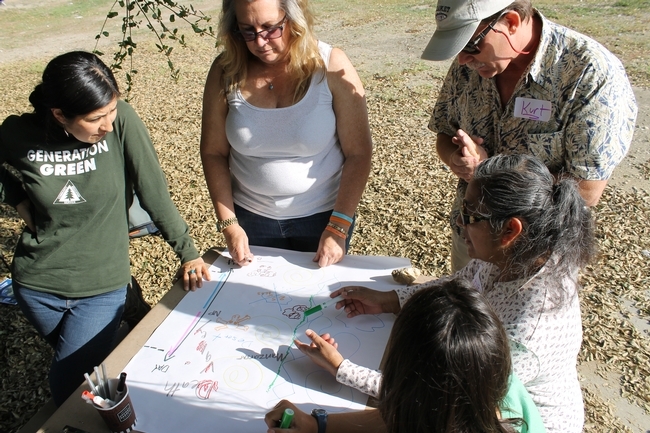 Last month, teachers and educators from around Northern California came together for a weekend to learn about best practices for science education with a Forestry Institute for Teachers+ (FIT+) workshop. FIT+ is a new professional development program from the Northern California Society of American Foresters and UC Cooperative Extension Project Learning Tree. This workshop is an extension of the Forestry Institute for Teachers, which focuses on curriculum from Project Learning Tree and Project Wild. 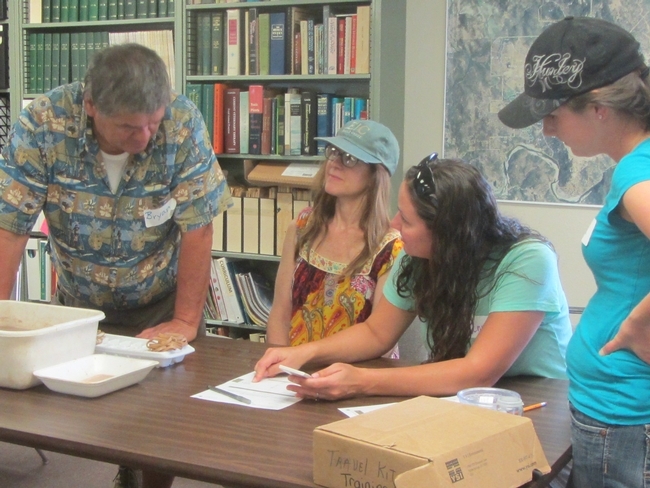 The Forestry Institute for Teachers also hosts lectures from foresters about best practices and lesson plan development using the program's curriculum guides. FIT+ on the other hand, concentrates more on the Project WET curriculum and hosts guest speakers that talk about all varieties of ecology. Proud graduates of the first SFREC FIT+ workshop, ready to bring their new curriculum back to their students. 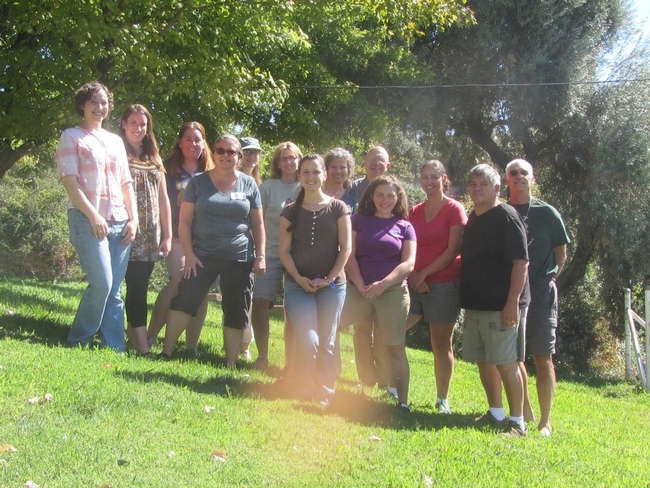 The educators had a fun-filled, well-rounded, educational weekend. They connected with one another and practiced the Project WET curriculum, by physically doing some of the activities as well as creating mock units for their classrooms that integrate Project WET activities and other resources. In addition to getting acquainted with the curriculum guide, the teachers were treated to two educational lessons, and a trip down to the Lower Yuba River. The first lecture was by Doug McCreary, who gave an overview of oaks in California and the role they play in our foothill ecology. 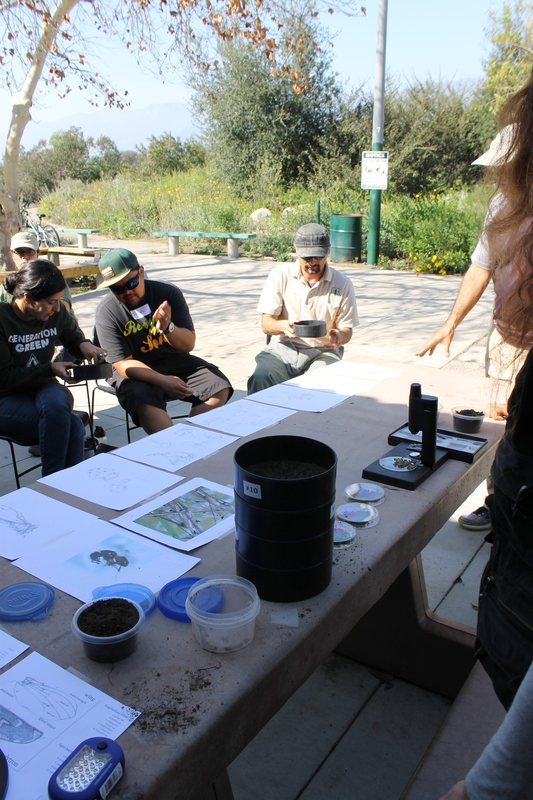 SFREC Director, Jeremy James followed with a lecture about invasive species, how they invade and the impact they can have in our ecosystems. 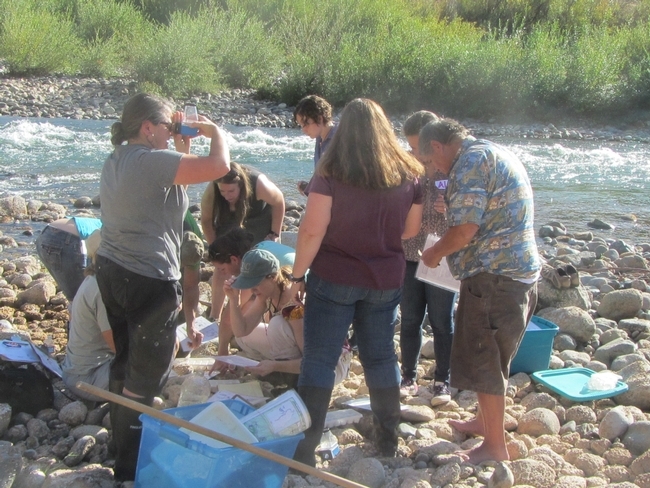 While down at the Yuba River, teachers practiced interpreting river health through analyzing the benthic macroinvertebrates that were collected with the help of Kelly Santos of Sierra Streams Institute. Look out for the return of FIT+ to SFREC in the upcoming year! Participants collect benthic macroinvertebreates from the Lower Yuba River. 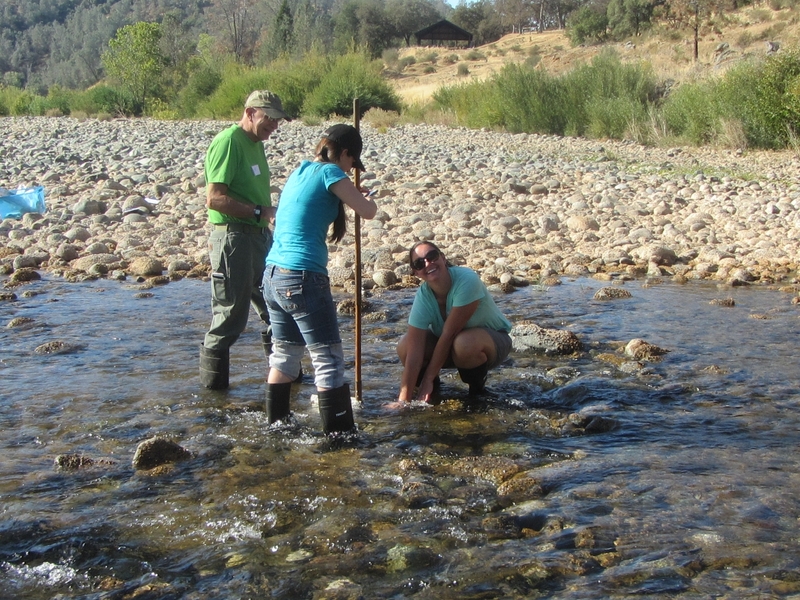 After collecting the benthic macroinvertebrates, they are analyzed to gauge river health. This is just one example of an extension that teachers can combine with Project WET activities. 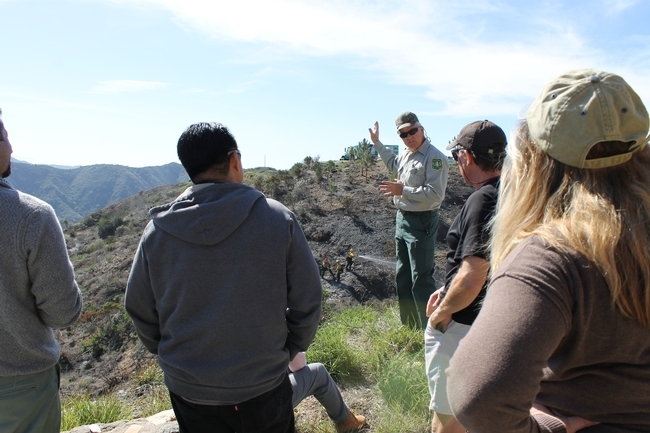 Teachers learning about fire ecology from the Forest Service. Calling all K-12 educators! Do you want the tools and training to enhance environmental education in your classroom or youth program? Do you want ready-made activities, perfect for outdoor exploration, that support STEM learning, Common Core, and Next Generation Science Standards? Then join us for the Forestry Institute for Teachers PLUS (FIT+), a two-day advanced training opportunity in the Sierra Foothills. 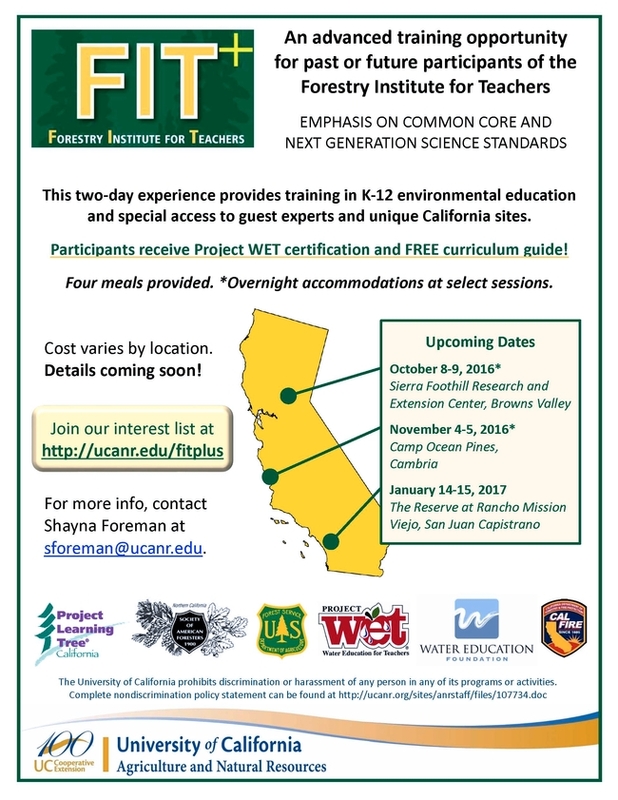 FIT+ participants receive a Project WET Professional Development Certificate and take home a K-12 Activity Guide with over 90 interdisciplinary activities designed to complement existing curricula and support current and emerging standards. In addition to modeling Project WET activities, the workshop agenda includes talks from science experts and natural resource professionals, visits to unique local sites, and discussions of lesson-planning, Common Core, and NGSS. The training is designed for classroom teachers and non-formal educators who work with youth. We will spend as much time as possible outdoors! Teachers learning about and exploring soil. Cost: Choose on-site, $70, for on-site shared dormitory accommodations Saturday night and four meals (lunch and dinner Saturday, breakfast and lunch Sunday); choose off-site, $60, for four meals and no lodging. Why come to FIT+? With the passage of the Every Student Succeeds Act (ESSA), the recent publication of California's Blueprint for Environmental Literacy, and the impending implementation of Next Generation Science Standards, Project WET is a valuable resource for bringing environmental education into the classroom and for bringing students outside. The award-winning curriculum guide, recommended by NSTA, provides flexible and interdisciplinary activities for all K-12 grade levels and subject areas, supporting current and emerging learning standards. Project WET makes a great addition to any educator's toolkit! Teachers practice Project WET activities. FIT+ sessions are coming up in October (Yuba County), November (San Luis Obispo County), and January (Orange County). Scroll down to view the flyer register for any session at www.forestryinstitute.org/education. Please share this event with your colleagues—we welcome both graduates and prospective participants of our Forestry Institute for Teachers! Contact Shayna Foreman at sforeman@ucanr.edu for more information.